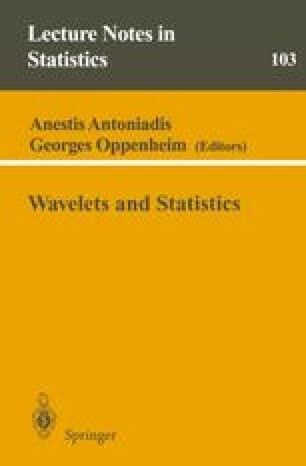 Wavelets are of wide potential use in statistical contexts. The basics of the discrete wavelet transform are reviewed using a filter notation that is useful subsequently in the paper. A ‘stationary wavelet transform’, where the coefficient sequences are not decimated at each stage, is described. Two different approaches to the construction of an inverse of the stationary wavelet transform are set out. The application of the stationary wavelet transform as an exploratory statistical method is discussed, together with its potential use in nonparametric regression. A method of local spectral density estimation is developed. This involves extensions to the wavelet context of standard time series ideas such as the periodogram and spectrum. The technique is illustrated by its application to data sets from astronomy and veterinary anatomy.